Shelley Bean: Heartstring Design Team- It's Fall Y'all! I used a stamp from My Heart Stamps For You, and incorporated the My World Cricut cartridge to make a cute little schoolhouse for a Back to School theme. I also popped a cute apple button onto the theme since my little back to school country girl thinks she is the teacher's pet. (of course) Quite honestly, all the paper was scraps I had laying around and so there wasn't a lot of planning and plotting to make this simple little card. I thought it might be cute to give to a favorite teacher, or even as an embellishment on a scrapbook page. Be sure to check out what the other designers came up with for this Design Team Wednesday. Here are a few sneak peeks! One of the busiest young ladies I know is Madison! 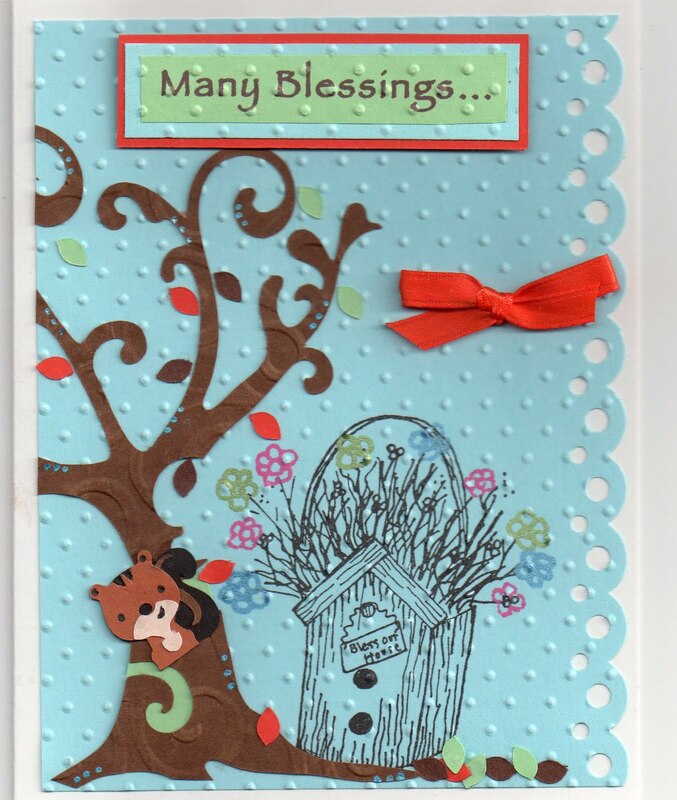 Please check out her wonderful blog as well at Funky Cards! 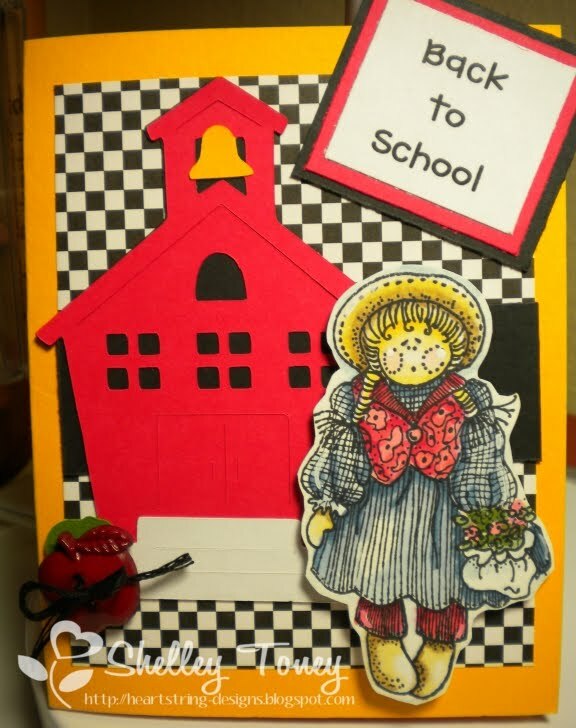 Gaby has also created another adorable card to share with us. Please check her out at Scrapbookaholic! Tune in tomorrow...I will reveal the winners of the last Design Team Challenge. Nice card! your coloring is just right! I love that checkered paper, were did you get? Very cute cards and ideas. Love them!!! i always love your stuff.... AWESOME card!